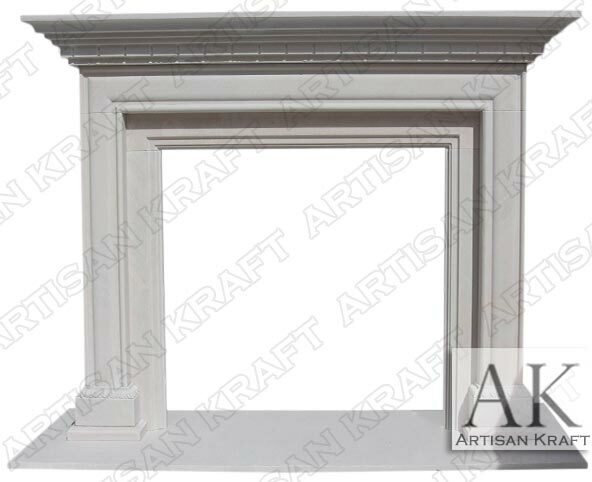 This transitional style fireplace mantel is in stock. It is pictured here carved from sandstone. Artisan Kraft can make it from limestone or cast stone. The Alpine is a hybrid bring together modern and traditional design aspects. The mantel shelf has a dental decal below it. Surround wrapping the firebox has a couple extra steps giving it more flare and thus making it slightly less modern. For more limestone fireplaces follow the link.